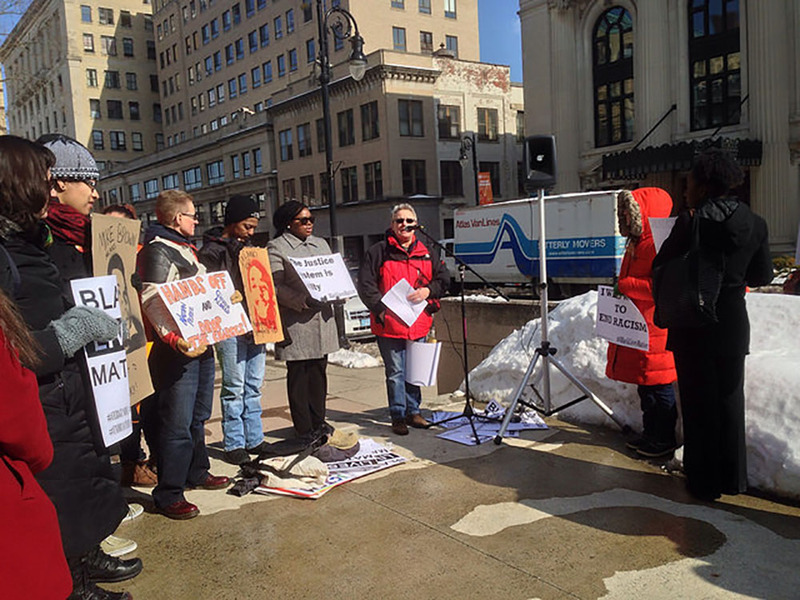 Lois Ahrens, founding director of the Real Cost of Prisons Project (www.realcostofprisons.org) and long-time activist, is pictured here speaking about bail and bail reform at a #BlackLivesMatter demonstration in February 2015. 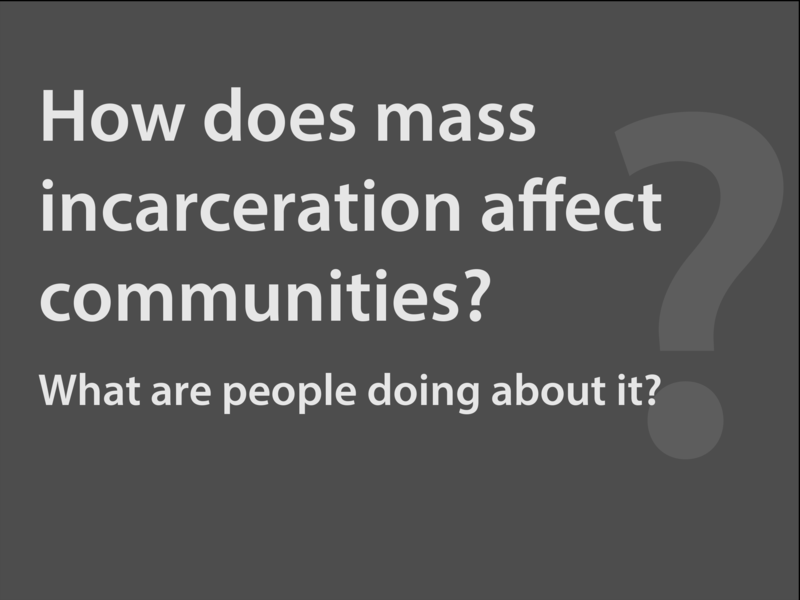 In 2012, Lois Ahrens co-founded the Pretrial Working Group (PWG), a statewide coalition advocating for alternatives to pretrial incarceration, including the elimination of the monetary bail system and opposing construction of new jails in Massachusetts. The group’s website explains, “in Massachusetts, every day, more than 5,000 women and men are jailed pretrial, that is, they have been convicted of nothing. A majority is often held for months only because they do not have money for bail.” The Pretrial Working Group organized in in 2013, in part as a response to bill H1434, introduced by Rep. Kay Khan, which proposed the construction of a new women’s jail in Middlesex County, to incarcerate women being held “pretrial” and sentenced women. Rep. Khan’s bill died in Committee: however, a new bill to build a jail for women has been introduced. Ahrens and the PWG are organizing against it. In addition, PWG has been instrumental in legislation to end money bail and shift the state’s pretrial incarceration system to one based on risk, rather than wealth (H1584). Families for Justice As Healing, Ahrens and others are advocating for a bill to create community based alternatives to incarceration for primary caretakers of dependent children (H1382).